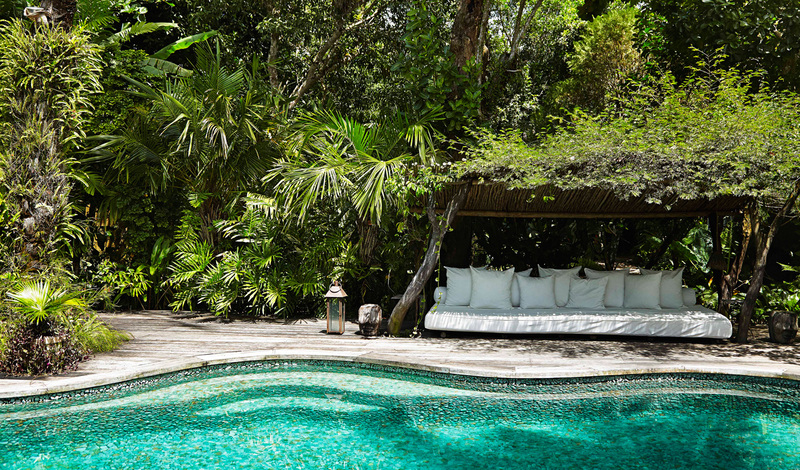 A unique and quintessentially Brazilian beach destination, UXUA Casa Hotel is an intimate and stylish retreat located on the Bahian coastline in the village of Trancoso. With only 10 casas the hotel blends seamlessly into the palm tree-laden landscape. And with the beautiful beach right on your doorstep, it’s the perfect spot to immerse yourself in some authentic Brazilian beach culture after exploring the Amazon or Rio de Janeiro. When you think of Bahia, you think of sun, sea, and lush vegetation, and staying at UXUA Casa you’re surrounded by just that with a touch of style and luxury. Situated on the southern Bahian coast, in the small fishing village of Trancoso it’s the perfect place to experience coastal Brazil at its best. The hotel is a three-hour flight from Sao Paulo to Porto Seguro, and after a short car transfer, you’ll be sunning yourself on the Bahian sands in no time. From Casa UXUA you can explore all the region has to offer; from visiting local tribes in the Monte Pascual National Park to kayaking the coastline, or even learning the art of Capoeira. Each of the 10 casas has been designed by Dutch fashion designer Wilbert Das and local artisans, for a style that incorporates sleek furnishings with traditional Brazilian antiques and arts. Choose from a range of 1-3 bedroom restored fisherman’s houses facing the historic town, or maybe you fancy one of the opulent tree houses? Whichever stylish bolthole you pick, the casas feature private gardens, indoor and outdoor living spaces, with a few featuring private plunge-pools. With only 10 rooms Casa UXUA exudes an intimate home-away-from-home atmosphere, yet doesn’t compromise on the service or facilities. The service is proudly Bahian, with a strong focus on cuisine, and of course the cocktails. Make sure to try out the spa and the unique swimming pool which has aventurine healing crystals added daily. 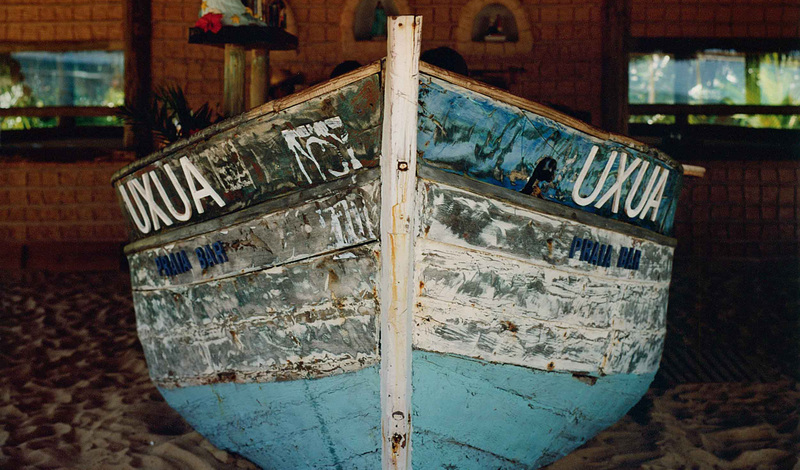 Or simply spend your evenings at the beach lounge created out of old fishing boats with a Caipirinha in hand.